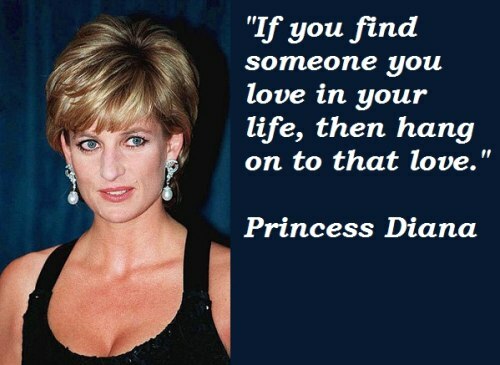 Love, Princess Diana. If you find someone you love in your life, then hang on to that love. - Princess > Famous Quotes with Pictures.